Click on Read More. My favourites: Werckmeister Harmonies, The Red and the White, Adoption, Love, Merry-go-Round. Merry Go Round (Korhinta), Fabri, 1955. A young woman is enjoying the exhilarating freedom of flying through the air on rides at the fair with her impish jolly friends and a young man she’s taken a liking to. But her stern father does not approve of such cavortings at all. His mind is set on financial betterment, and her engagement to a more appropriate business-minded fellow; “land marries land”. Never mind that the not so likeable fiancé has already tried it on with our heroine, taking physical rights for granted and been rebuffed. So the course of true love is far from smooth, things are looking bleak indeed, the heroine is sliding into the slough of despond, but her true sweetheart is made of stern stuff. He knows what he wants, and he will not be put off by social conventions and some oppressive patriarch….He will make his own destiny, and there’s a slight physical resemblance to Peter O’Toole as Lawrence of Arabia, even his eyebrows are tough as he stands before us in close-up. There’s some social comment over the preferability of collectives to greedy individualism but this is a film that doesn’t bog down in politics. It swirls joyfully, it can be intense and grim, and it has its quiet lyrical patches too; a ladybird flies into the air and the heroine has her dreams. 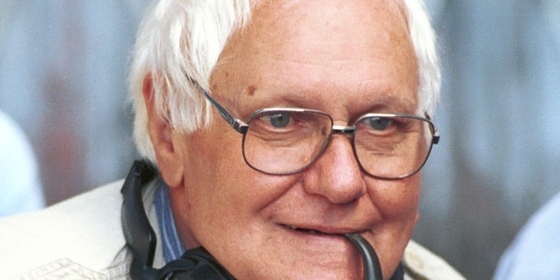 A key figure in the development of the new Hungarian cinema, filmmaker Jancsó Miklós earned international recognition for his films Szegénylegények/The Round-Up (1965), Csillagosok Katonák/The Red and the White (1967), and Csend és Kiáltás/Silence and Cry (1968). These films best reflect Jancsó’s tendency toward abstraction and contain a distinctive combination of revolutionary viewpoints and highly structured, formal cinematic style. Imagery is more important than dialogue, which is used sparingly to encourage audiences to contemplate Jancsó’s underlying messages. The director tends to place actors in geometric patterns that mirror the landscapes around them. Born in Vac, Hungary, Jancsó studied ethnography and art history while earning his law degree in 1944. He spent several years in Transylvania doing ethnographic research before enrolling in Budapest’s Academy of Dramatic and Film Art, where he graduated in 1950. Jancsó began filming numerous newsreels and documentary shorts until 1958, when he made his feature debut with A Harangok Rómába Mentek/The Bells Have Gone to Rome (1958). The film is one of the few in Jancsó’s repertoire that does not reflect his signature style. In 1963, he earned international acclaim for his medical drama Oldás és kötés/Cantata (1963). Oh and in literature there’s the great 19th century poem by Arany Janos, “A Walesi Bárdok”, The Bards of Wales, well known to Hungarians, still recited by schoolchildren, as a result of which i tried to get Montgomery twinned with the author’s home town.